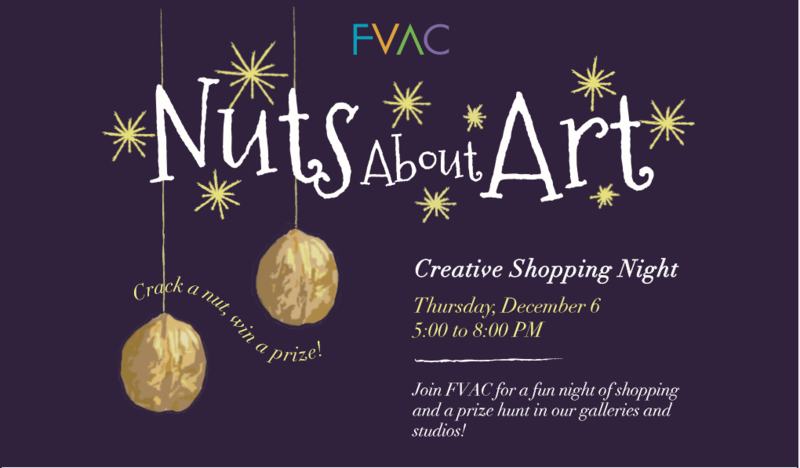 Join us on December 6 from 5 to 8 PM for a fun and relaxing shopping night in the studios, galleries and gift shop with wine, treats, and prizes! Buy a nut for $10, $25 or $50. Open your nut and you'll find an FVAC artist's studio number "squirreled" away inside. Bring your nut to that studio and you will receive an original piece of surprise artwork valued double or more! The art "surprises" include ceramics, jewelry, paintings, art prints, handmade paper, handmade soaps, wood sculptures, photography and more created by our talented studio artists. All the proceeds go to the preservation of our historic brownstone buildings. Thanks for your support!